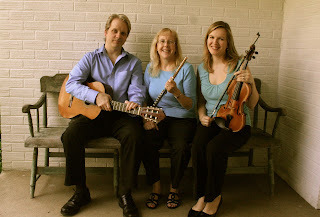 Delaware Arts Info: Pegasus Trio Makes Milford Musical This Week! Mindy Bowman, flute & Jeanmarie Braddock, violin. As part of Milford's popular Third Thursday art & music events, Pegasus Trio returns to Mispillion Art League in Milford to perform music of Bizet, Handel and Joplin as well as traditional Irish songs, Dixieland classics and the trio's own original compositions! 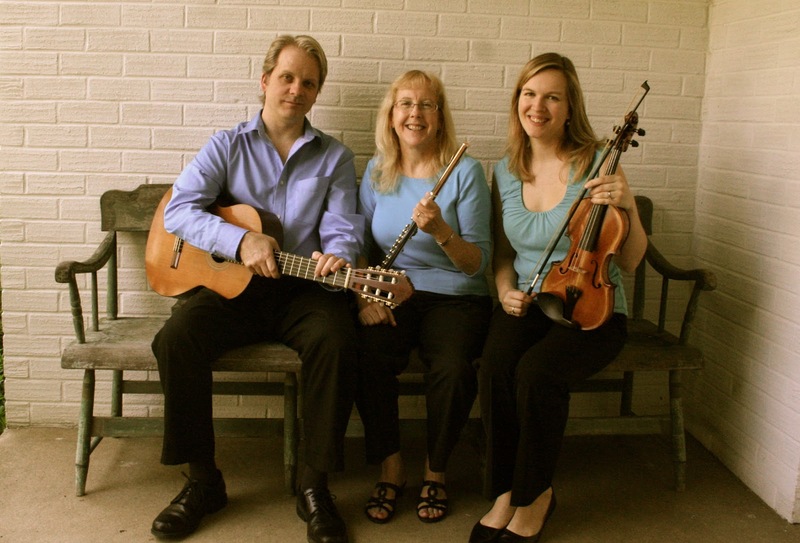 Pegasus Trio — Chris Braddock, guitar; Mindy Bowman, flute; and Jeanmarie Braddock, violin — have been popular musical guests at Mispillion previously as well as many other Delaware venues. When not performing live, Chris Braddock and Mindy Bowman enjoy busy schedules as faculty members of The Music School of Delaware, which has a location in downtown Milford. Chris is also the Guitar Department Head of the Music School and the director of the school's bluegrass ensemble the Matson Run Pickers. Jeanmarie Braddock is also a music instructor with the Brandywine School District in New Castle County. Enjoy the sounds of the mighty Pegasus [Trio] this Thursday, July 18, 6:30pm at Mispillion Art League, 5 N. Walnut Street in Milford. The event is free and family friendly. I also recommend trying out Dolce, a wonderful coffee shop and bakery on Walnut Street as well!